The Eyecare Plus Business Bootcamp and Annual General Meeting in October 2017 brought together about 80 Eyecare Plus members from all over the country. This one and a half day event held at Coogee Beach was all about fun, sun, learning and enjoying the company of friends and colleagues in the optics industry. Optometry industry leaders held a panel ‘Q and A’ session where service to private health funds, how to grow practices and how to provide the best patient service were discussed. Everyone had a wonderful time! 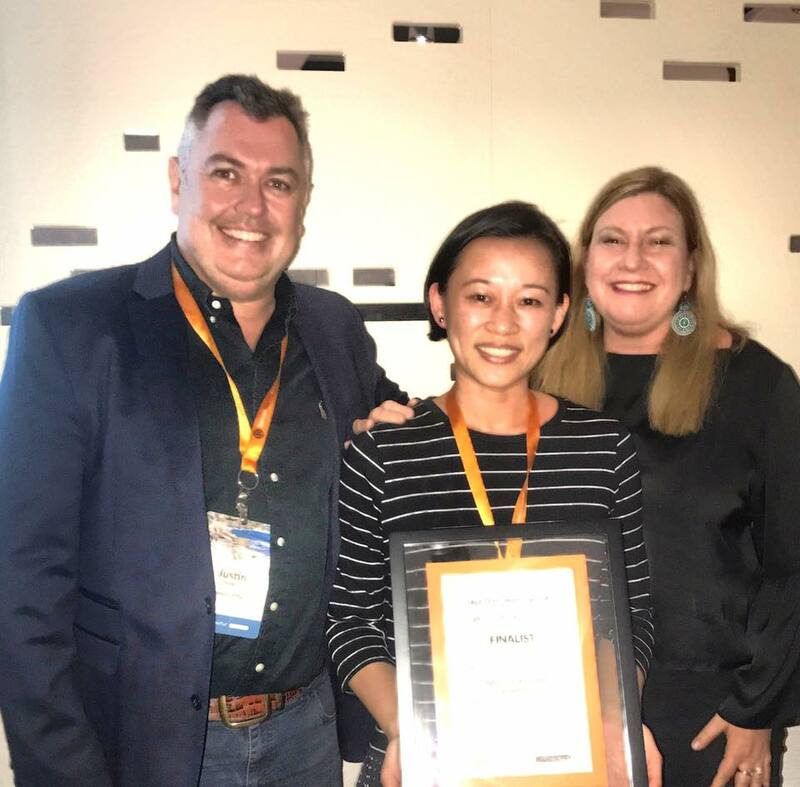 Eyecare Plus Optometrist Dr Soojin Nam receiving the Highest Year-on-Year Practice Growth Award. Congratulations! Eyecare Plus Broadway took the second spot as Highest Year-on-Year Practice Growth Nationwide! What does this mean? The awards night also acknowledged other practices’ excellence in various categories, including Eyecare Plus Kareela, who was finalist for Best Practice in terms of Highest Accreditation Score nationwide. Have your eyes tested by an award-winning Optometry practice today! Eyecare Plus Kareela Awarded Finalist for Highest Accreditation Score Nationwide!